GAF is one of the few shingle manufacturers that offer a certification program that allows us to give out warranties on our products and offer more protection for your home. If it is time for a new roof on your home put your trust in West Side Roofing. 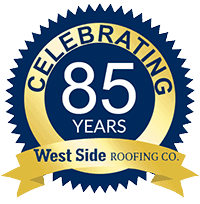 West Side Roofing is GAF Certified and services Northeast Ohio for all of their commercial and residential roofing needs. 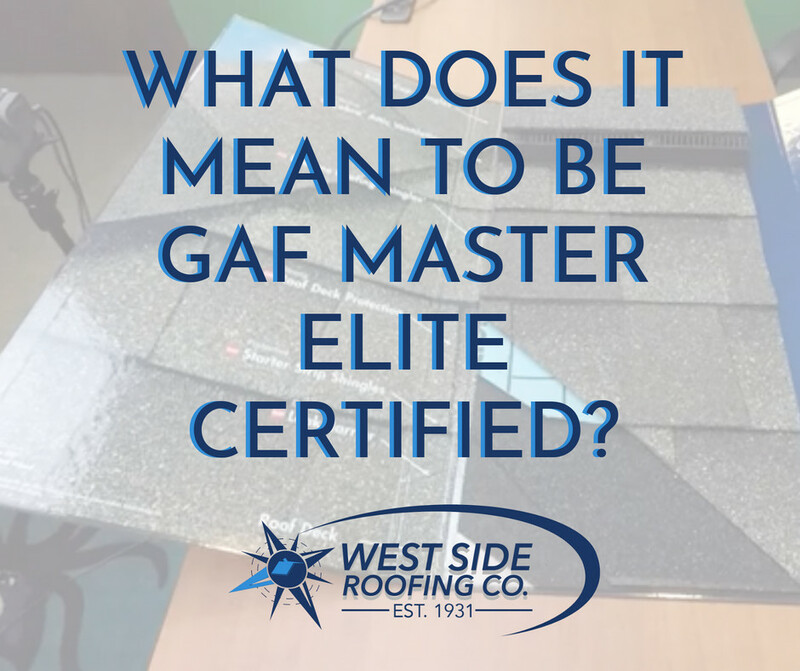 What does it mean to be Master Elite™ GAF Certified? Throughout our website you may see images of GAF stamps and awards we've received, or the phrase "GAF Certified" - but what does it mean? GAF is the leader in asphalt roofing. 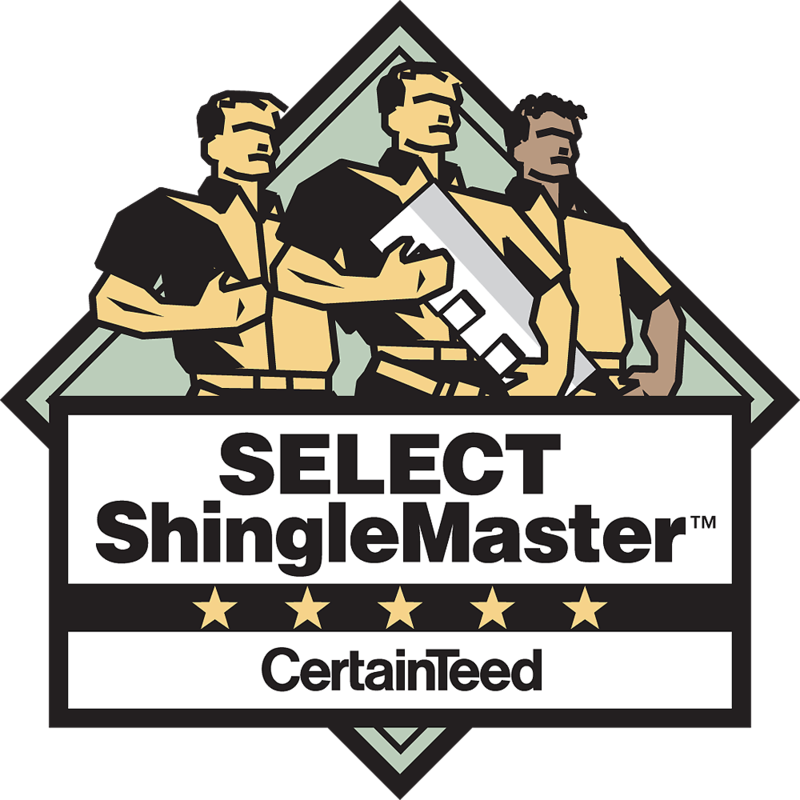 They offer a Master Elite™ Certification where they provide training to roofing contractors. Only 3% of all roofing contractors have been qualified as Master Elite™ - and West Side Roofing is one of them! What that means is our entire crew is trained with GAF Products, and it's a product we use day-in and day-out 365 days a year. Find out more about how we earned the GAF Master Elite™ certification here. Why should I trust a GAF-certified contractor? Aside from the peace of mind you get from hiring GAF-certified contractor, there are other benefits you can enjoy when you hire us. For one, you have access to the brand's full line of exceptional roofing products and materials. What are those roofing components? In our video (above) you'll see a nice sample of what we bring out to our consultations. This allows us to show you what products will be used on your roof. The first component of a GAF roof is ice guard underlayment. This gets laid overtop of the roof deck and acts as a leak barrier. The second component is a starter strip shingle that is mandatory - it's part of the components of the new roof. Then there is a synthetic underlayment which is mandatory by all the building departments in all of our cities. We're registered in approximately 42 municipalities around Cleveland. Next we lay the shingle. GAF offers a range of shingles that offer superior beauty and durability in a wide selection of colors. The shingle in the demonstration is the GAF Timberline (/increase-home-comfort-levels-with-gafs-timberline-shingles) but they offer High Definition, Natural Shadow, Ultra, and American Harvest. They have an array of choices in a variety of colors. West Side Roofing's Vice President Chris Spacek is a little old school and instead of going by the color - he likes to go by the weight. In that regard, he highly recommends the Ultra - that's a 300 pounder - that is typically used on churches or a very high-end home. Lastly, we add something in called a ridge vent. A ridge vent allows your roof to breath. To learn more about the general components of your roof, click here. You can also take comfort in the fact that your investment is protected by one of the strongest warranties in the industry, the Golden Pledge® warranty. This provides 50 years of coverage for the materials and up to 25 years for the installation. Invest in quality, and turn to one of the leading local roofers, West Side Roofing, for a replacement. To schedule a roofing replacement with us, call (216) 245-1050 today. We'll even offer you a free quote. We serve Cleveland, Akron, Parma, and the surrounding areas in Ohio.